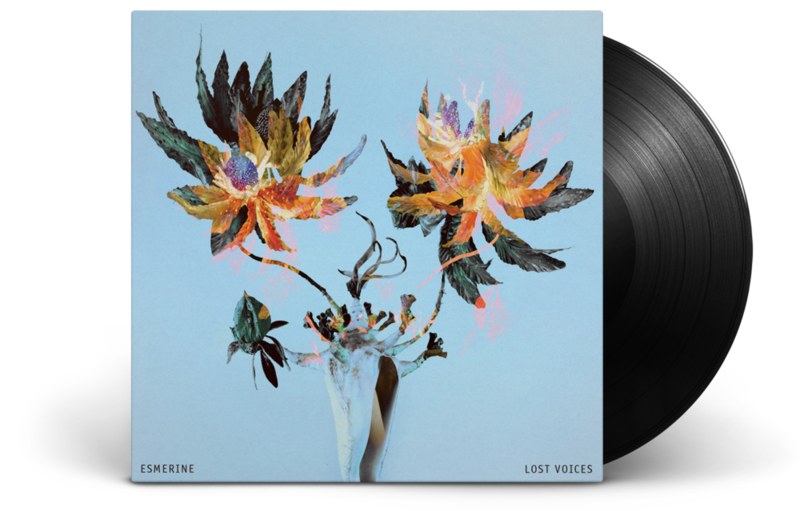 Mechanics Of Dominion is perhaps Esmerine's most dynamic and narratively-informed work, tracing an arc through Neo-Classical, Minimalist, Modern Contemporary, Folk, Baroque, Jazz and Rock idioms to invoke lamentation, meditation, resolve, resistance and hope. It is a requiem for our intractably suffering planet and a paean to the inscrutable, essential dignity of indigenous ethics and the natural world, and to modern human frailty and ingenuity. Stylistically, Mechanics Of Dominion brings mallet instruments to the fore, with marimba, glockenspiel, piano and amplified music box providing a prominent foundation and through-line on the album's diverse tracks. Multi-instrumentalist Brian Sanderson's contributions are also an ever greater part of Esmerine's songwriting – his stately melodic lines on horns and acoustic strings are formidable elements in the ceremonious lyricism and keening vitality of this song cycle. Mechanics Of Dominion is also another superlative iteration in Esmerine's dedication to artwork and packaging, this time featuring the work of Montréal artist Jean-Sebastien Denis to beautifully echo the album's compositional balance of abstraction, tension and emotional colourations. Mechanics Of Dominion is currently Nominated for the 2018 Juno: Recording Package Of The Year. Five works from the Imbrications series by Jean-Sébastien Denis are included as a set of 12″x12″ art prints in the Deluxe Vinyl edition and the first 500 copies also include a bonus 12″x19″ art print poster. All Vinyl packages include an MP3 download card. "Meditative drones and shifting melodies of the Canadians’ strings and percussions are vamped up by an array of [Turkish] sounds...in a thrilling and meaningful conversation." "A towering achievement... emotive and powerful, delicately wrought and stunningly beautiful. The recording is outstanding... a rare pleasure from start to finish." "What distinguishes it from so many artists skirting the overlaps between new folk and chamber music-style arrangements is the attention to composition and content. Where lesser talents are content merely to create mood, satisfying themselves with the surface rewards of alternative timbres, Esmerine wrap mood around substance."